"There's something rockin' in the State of Denmark..."
I've always been a fan of radio stations getting behind the national footbal team at times of World Cups and Euros etc... and what better way than to stage screenings in iconic locations. 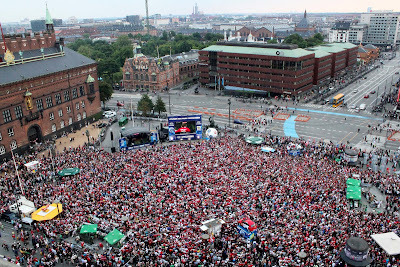 So, here's a picture of the 'Town Hall Square' in Copenhagen last night as Denmark had their 'do or die' match against Japan. This is 'the' place where large crowds gather for big event and things like New Year's Eve etc... and is the Danish equivalent of Trafalgar Square if you want a UK comparison! Over 35,000 fans were entertained with live music, and DJ's from the Radio 100FM team hosted the whole thing. Brilliant event. Shame about the result of the match if you're Danish! Here's a nice bit of fun, entertaining and topical video content from client station Kronehit in Austria, and their Morning Show. What can make a Vuvuzela quieter? Well done to all the team at Capital FM who delivered a great show at Wembley Stadium at the weekend. 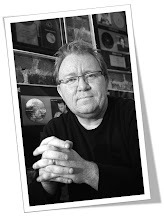 There are lots of videos, pictures, interviews etc on the website, which is well worth a look. In the meantime, this is getting quite a lot of attention at the moment - it's a mash-up of all the artists that appeared at the Summertime Ball. Great idea and really well executed by DJ Earworm! "Adjust the bass, and let the Alpine blast..."
'Happy June' everyone... and 'Happy Summertime' I guess! As summer slowly approaches, so do the series of radio station events. In the UK, we’ve already had BBC Radio 1’s One Big Weekend, which showcased the might (and resources) of the BBC in all its glory. And a great job they did too. It’s from Capital FM, but basically a promo message from the sponsors ASOS.com, which is a leading UK online clothes and fashion retailer. 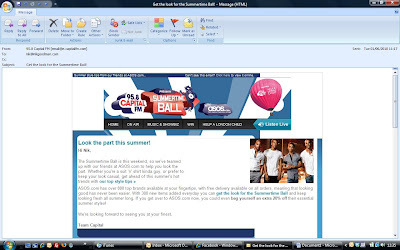 The email invites me to get the Summertime Ball look and buy the clothes to make me look more like my idols! I can then choose the Usher look, or the Beiber look or even the Dizzee look! The email links through to the Capital FM site and then I can click on the item I like, and it takes my directly to the ASOS.com site where I can buy it. Perhaps they could have gone a step further and put together a mini Summertime Ball section on ASOS.com with all the different looks and clothes. There is a festival section mentioning everything from Lollapalooza to Roskilde, but no obvious link with Capital and the Summertime Ball except for a competition to win tickets which is tucked away somewhere. However, the sponsor presence on capitalfm.com is really strong. So – there we go. A nice example of offering a sponsor some ‘added value’ and linking the sponsor of an event with the actual event itself in a clear and relateable way. Just waiting for my Justin Beiber style “Jersey Zip Through Hoody” to arrive and I’ll be all set for Sunday!